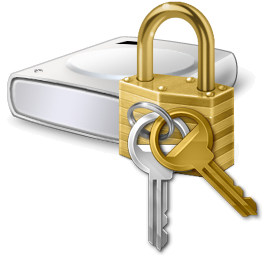 Did you ever thought of How to hide hard drive or partition in Windows 7/8/XP/Vista? Well, this is quite easily possible. Here in this post I will tell you detailed procedure of How to hide partition in Windows 7/8/XP/Vista…. Privacy is an integral concern nowadays. Hiding important files has always been a crucial task. 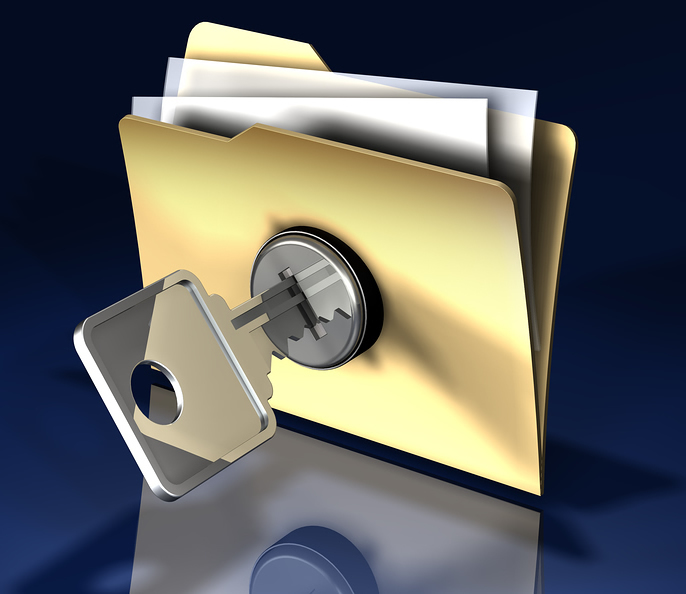 It is difficult to hide several files or folder one by one. Therefore, this becomes quite frustrating when you need to hide a huge amount of data. Hence, create a separate partition, copy all files in it and hide the hard drive or partition. It is the best way out. There are many ways and tricks to hide hard drive in Windows. So, here are all step by step procedure to hide hard drive or partition in Windows 7/8/Xp/Vista. 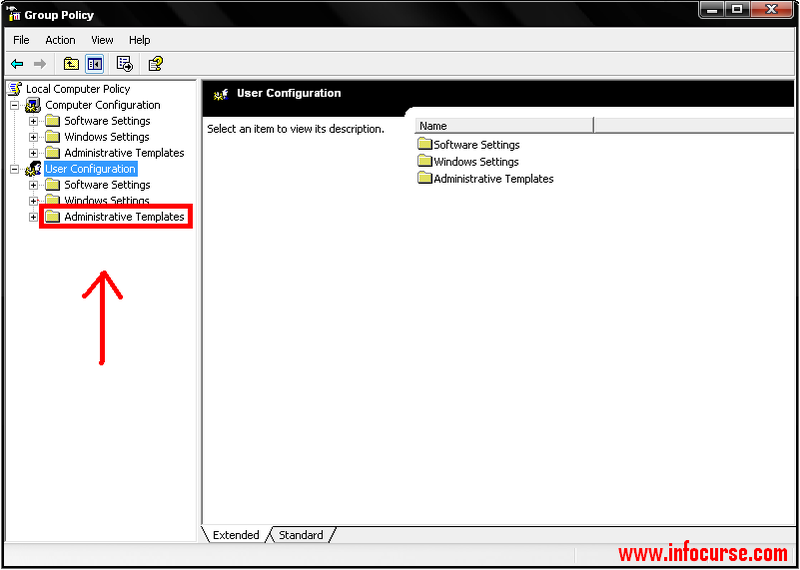 Also read: How to create invisible folder in Windows XP/7/8/Vista. At first, right click on “My computer”. Select “Manage”. A new window will appear on your screen. This is Computer Management window. Select the Disk Management option on your left. Then, all your partitions will appear. Right click on the partition you want to hide. Choose “Change drive letter and paths” option. A new window will pop up on your screen. Click on Remove option. You are done. Your desired partition is hidden. 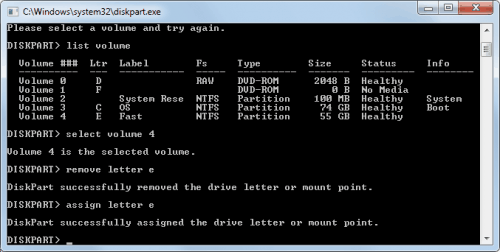 To unhide the partition, follow the same steps but add drive letter at the last step instead of removing it. 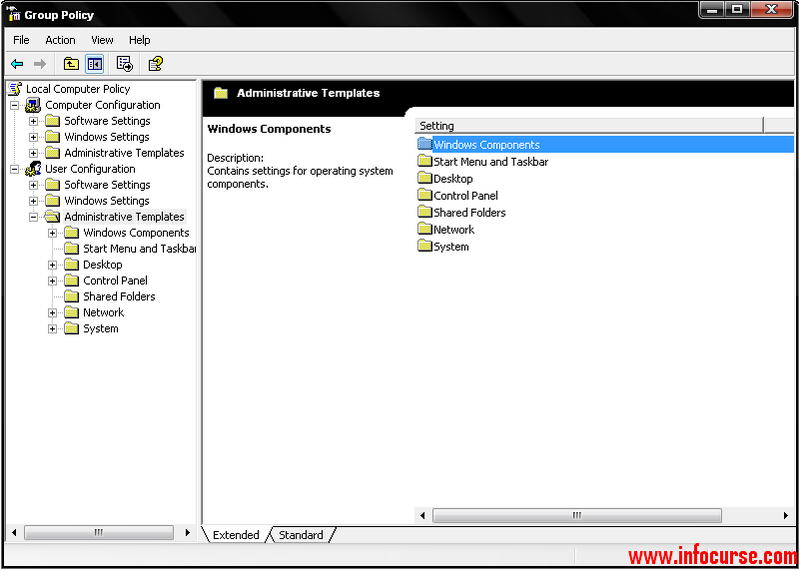 Run Command prompt as administrator. This trick will not work if you do not run command prompt as administrator. Type diskpart in your command prompt window. Press enter. Now type list volume. All the partition will appear. Type select volume 4. (Select the volume/partition you want to hide in your pc). Here I am hiding volume 4, E label partition. So I selected it. 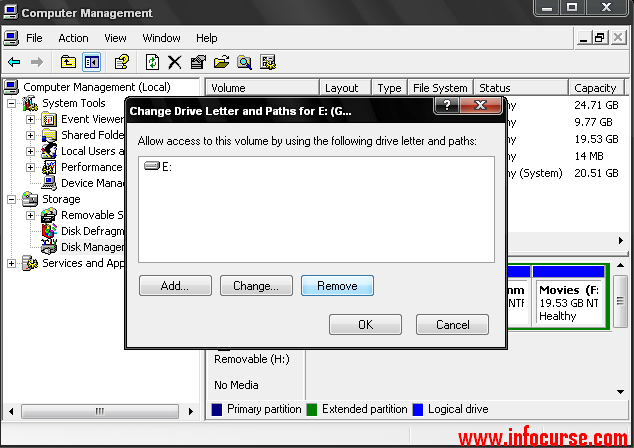 Now type remove letter e.
To unhide the partition, follow the same steps but type “assign letter e” instead of “remove letter e” in the last step. Press Window + R buttons in your keyboard. RUN window will appear. Type gpedit.msc. Group policy editor window will appear on your screen. Now, go to “User Configuration” and click on “Administrative templates”. 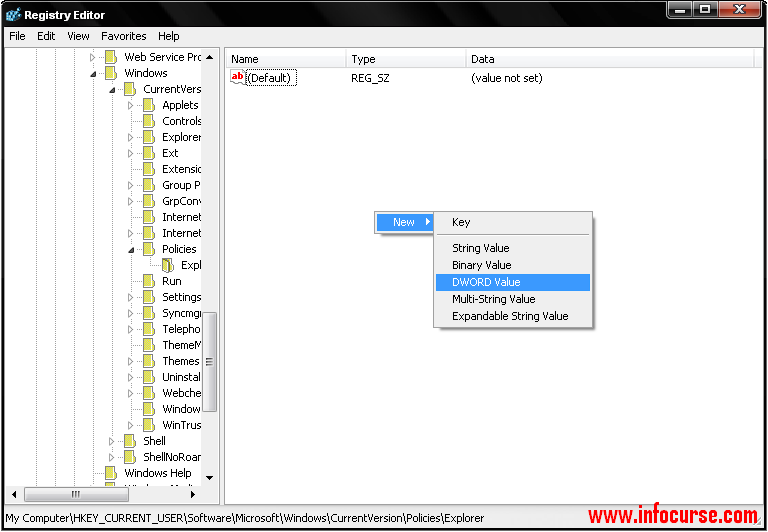 Find and double Click on “Windows component” on your right options of the dialog box. 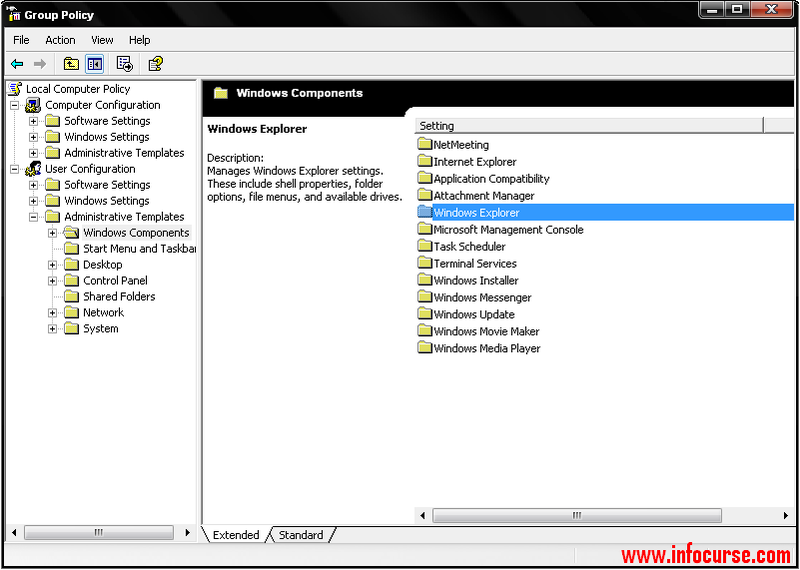 Now, find and double click on “Windows explorer” as shown in the below snapshot. 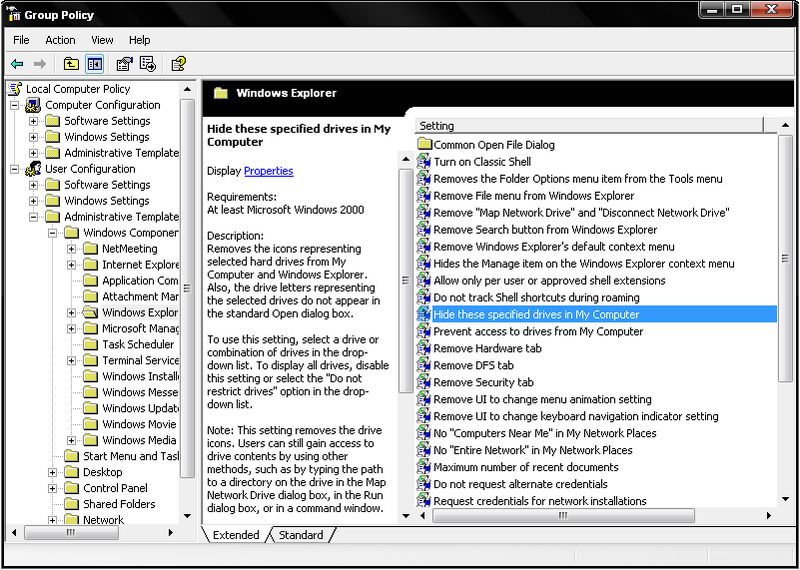 Now, find the policy “Hide these specified drives in My computer” and double click on it. A new window will pop up on your screen. Select the “Enable” option. Choose the drives (partition) you want to hide and click OK.
You are done now. The desired hard drives is hidden. To unhide the partition, follow the same steps but select “Disabled” in the last step. Go to RUN and type regedit. Press enter. 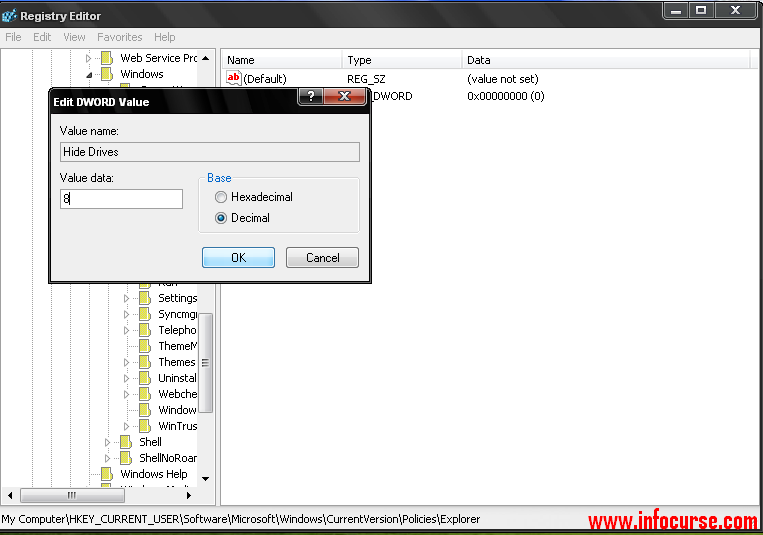 Registry editor windows will appear on your screen. Name the key as Hide Drives or No Drives and press ENTER. Now, double click on the key. A new window “Edit DWORD Value” will appear on your screen. Select the Decimal mode from Hexadecimal mode. Assign the value of the specified drive. For example: To hide Drive D, Assign 8 in the Value data field as shown in the below snapshot. Given below is also the value for different drives. As assigned the value data is in the binary form. Binary means power of 2. The value is in the form 2ˆn (2 to the power n), where n is the no. of the alphabetic order of the drive. NOTE: If you want to hide more than one drives or partitions then enter the sum of the numeric values of the alphabet of the drives. For eg: If you want to hide Drive: A, D and F…. then enter the value as 41 (1+8+32=41) in the value field. If you want to hide all the partition then enter the value as 67108863. To unhide the partition, just delete the key “Hide drives” you have made. Also Read: How to recover Deleted files in Windows XP/7/8/Vista: Solved. MiniTool Partition Wizard (Download it from here). Drive Locker (Download it from here). DriveMan (Download it from here).